Unquestionably, Cartridge Save are highly competitive on the price of Xerox 6110VB toner. This cheap Xerox Phaser 6110-VB toner is fully supported by Cartridge Save's low cost promise so that the price you're offered is what you'll pay! Cartridge Save supplies fine quality toner cartridges for the Xerox Phaser 6110-VB printer which have been designed with the highest quality materials. Cartridge Save provide you with a money back guarantee on your Xerox Phaser 6110VB toner cartridge to protect you. Saving money is simple here at Cartridge Save due to the simple fact that we provide free delivery on all Xerox Phaser 6110-VB toner. Happy customers is Cartridge Save's goal and we underline this fundamental fact by the provision of our cast iron guarantee on all Xerox Phaser 6110VB toner cartridges. Our industry leading customer service teams will support you throughout. Get your order in now! Ideal for home and office users looking for a compact colour laser that can print in high-resolution, the Xerox Phaser 6110VB is a reliable workhorse. It has a 2400 dpi print engine, which allows high-resolution prints. With a monthly duty capacity of up to 24,200 pages, the Xerox Phaser 6110VB printer helps increase productivity in busy work settings. This colour laser printer features USB connectivity, and an Ethernet upgrade is available for those who want to share the unit over a network. Speed is the only issue for this version of the Phaser 6110. It seems to print colour pages sluggishly. 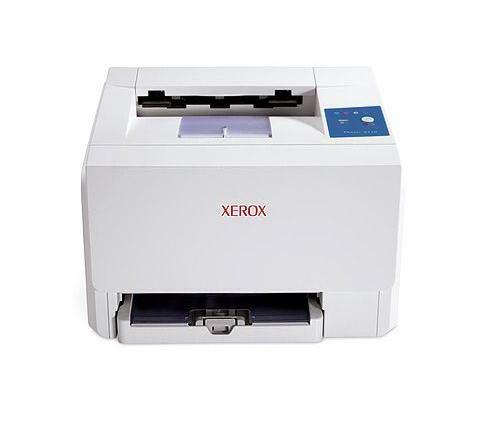 The Xerox Phaser 6110VB has the same small frame as the base model, measuring only about 15x13x10 inches. Its standard paper tray can hold as many as 150 sheets, which reduces the need for constant refilling of paper or other print media. The Xerox Phaser 6110VB has a 300 MHz processor and a 32 MB memory. Those who want a higher internal memory can purchase the networkable model (6110N). Users can expect optimum performance from the Xerox Phaser 6110VB laser printer. It prints high-quality outputs up to 2400x600 dpi and quality remains the same even when printing smaller fonts. The Xerox 6110VB colour laser printer is affordable and energy-efficient, not to mention very cheap to run and maintain, thanks to its cheap Xerox Phaser 6110VB toner cartridges and consumables. The Xerox Phaser 6110VB colour printer averages only 4 ppm when printing full colour documents. Black and white pages come out at a rate of 16 ppm  certainly slow compared to similar printers.